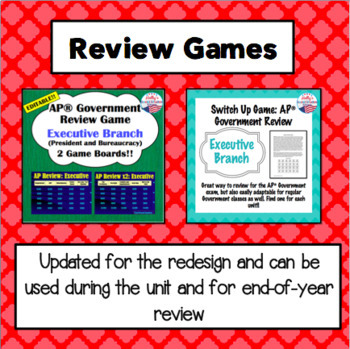 This Executive Branch Bundle for AP® U.S. Government includes two weeks of resources, including warm-ups, lectures, student notes/graphic organizers, interactive activities, review games, and updated assessments for the 2019 revision! 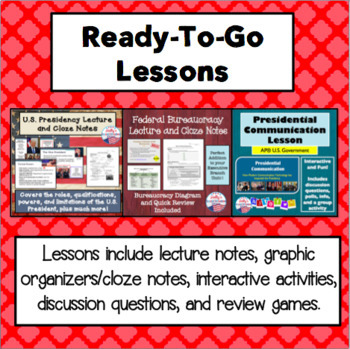 All lectures, notes, and assessments are editable (a few activities are in PDF format- check out product pages for specifics). You will receive 11 individual products, plus a bonus folder with 12 warm-ups and a HW packet- all for 20% OFF!! 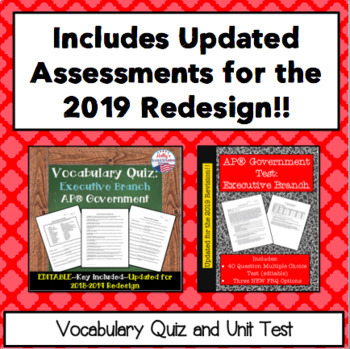 Answer keys are available when applicable. Check out the preview for descriptions of what is included in the bundle. You will also receive free updates whenever I add to or update products in this bundle. 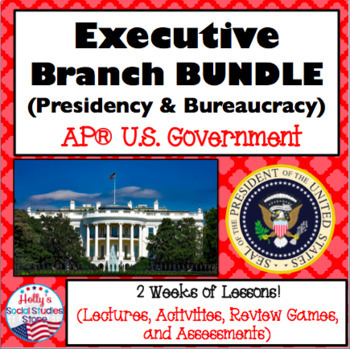 Interested in other AP® U.S. Government Bundles? Check out the following bundles currently available in my store! *AP® is a trademark registered by the College Board, which was not involved in the production of, and does not endorse, this product.